Welcome back to the last segment of this week. I am Penny Zenker and I am joined today with Dr. Jones founder of Designer Health Centers. Penny: It has been an exciting show so far and people are gaining valuable insights into how to improve their health as well as the byproduct of productivity that will come from that. Last week we met with Dr. Tom Dunkin and we were talking about language and its impact on our mindset and productivity. From my experience, I define energy management to be the psychology elements to purpose, language, focus and physiology. What is your experience of language’s impact on our physiology? Dr. Jones: It has such an impact on our physiology. Some of the kids I have worked with who have ADHD, they have felt so defeated. If you went into their brains and you learned what they were thinking about themselves in a language they were using about themselves in their mind. It was so disheartening. Once you shift their mindset and language, it’s amazing how the little kids come to life. They overcome their difficulties of focus and what not, much easier and they sky rocket their productivity to another level. What is interesting about that, is we have a little girl or boy inside of us and we need to really be careful with the words we are using and thinking about ourselves. It has an impact on your productivity and on your enjoyment in the process of achieving it. Penny: I have a hierarchy of communication. It starts with self-talk, that language we use with ourselves. Our ability to then be able to embrace who we are and what it is that we are achieving. It’s really sad to hear that these children who have just as much potential as anyone else because of the labels and because of the talk they hear around them is affecting their self-talk and self-image and they are not able to rise to their potential. You are saying that this is having a further effect on their physiology. Dr. Jones: This has been documented. Molecules of Emotion is a book that popularized this and it was written by Candace Pert. She is a PHD and she is the first person that popularized the understanding that your thoughts affect yourself. Its physical chemicals that come out of the hypothalamus and get into the bloodstream that can affect gene expression on a cellular level. Your thoughts literally have physical manifestations through neural peptides in the brain that have an impact on your health and the ability to get things done. This is so mind boggling. When you are in a stress response, the blood in your brain goes from being in your frontal cortex, which is what makes us human. We want most of the blood to go to this part of the brain when we are increasing productivity. When you are in a stress response, the blood goes to the midbrain and that is actually where we don’t make the best decisions and we are not actually able to get the best work done that we possibly can. It’s really important to create a stress free environment. It starts with how you think about yourself. I am interested in learning the hierarchy of language, Penny. Penny: It is interesting indeed. I will save that for another time. It has been so great to have you here. The listeners are so excited to hear more about you and your program. Where can they learn more about you and your program? What do you offer? Dr. Jones: We offer a program that actually helps people maximize their health and productivity. It’s called High Performance Health Program. It is for entrepreneurs, executives, business owners, that really want to maximize the ability to function or prevent disease that may run in the family. So the program varies from person to person. It’s very much customized to each person based on my initial consultation with them. Their personal case history and as well as different labs that we make that they need based off of our initial consultation. From there we create a customized program that will address the issues that are going on with them. So they can maximize their productivity and increase their performance. Increase their health and not just for a short period, but for long term. Penny: With me, you might think that everything is fine but it is eye opening to see underneath the surface what kind of shape your health really is. I encourage people to get clarity on that. I know that you have some tests that will help people to understand which foods cause allergies that they might not even be aware. Whether its headaches, leg pains, sneezing, rashes, different things that might come up as a result of food allergies. Dr. Jones: Increased level of fatigue. The list goes on. Penny: Dr. Jones, you have brought about so many interesting aspects about gaining health that our listeners will want to know more about and dig deeper and how they can gain greater health. What is the best way to contact you about getting more information or even a consultation? Dr. Jones: WWW.DesignerHealthCenters.com is the best way to connect. Click the request a consultation button in the website or just go to the contact us link at the top of the page. You will be able to connect with me in an initial consultation. There will be a ten question questionnaire that will go out to you before the consultation. We can look at what is interfering with the ability to maximize your productivity and your ability of focus and really to maximize your health and vitality. The goal and the miracle in the work I do is to help people prevent diseases before they start. Healthy lifestyle strategies and addressing them on a cellular level. If you would like to connect with us at Designer Health Centers we would love to be able to connect with you as well. Check out that website. I look forward to hearing from you soon. Penny: Fantastic! That is a tremendous resource for people who are interested in gaining better health and productivity. That is why they are here. This is about productivity. Thank you so much. Dr. Jones: Thank you Penny. This is a great show. Penny: I am always impressed with your knowledge, dedication and passion for preventative holistic care. I know our listeners have learned about true health and what actions they are doing today that can cause their health to decline. But more importantly, what they can focus on in the future and that they know they have access to you in order to dig deeper. Acknowledging where they are doing right now is the first step in getting to better health and greater productivity. If you like what you heard here send us a message on Facebook, Twitter, or text me. www.Facebook.com/PennyZperspective and www.Twitter.com/PennyZenker If you have any questions you can post them on one of these sites. Next week, we will talk about focus. This will tie together the four energy elements that make up our psychology. Dr. Heidi Hanna author of New York Times bestseller The Sharp Solution will be here. She will share her research on focus and our brain. 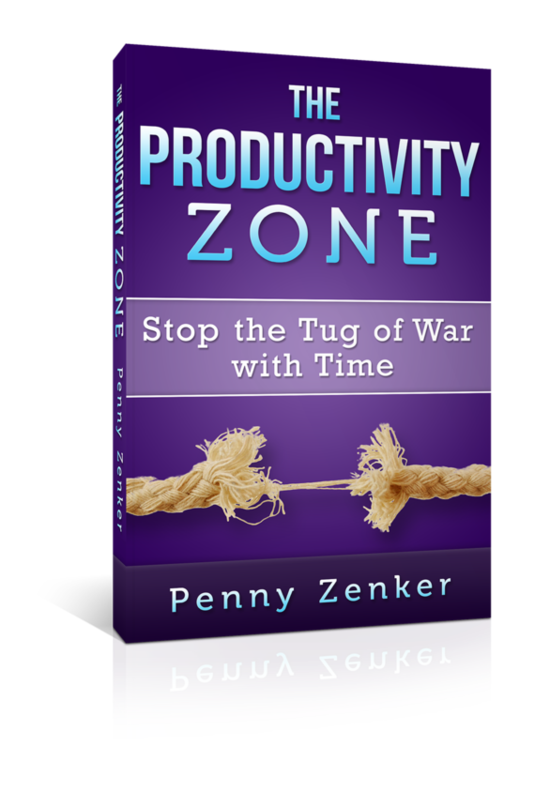 This is Penny Zenker reminding you to take charge of your time and energy. It is a choice you can feel good about.